On Thursday, three student-led groups at James Madison University held a debate to discuss a multitude of important political topics. 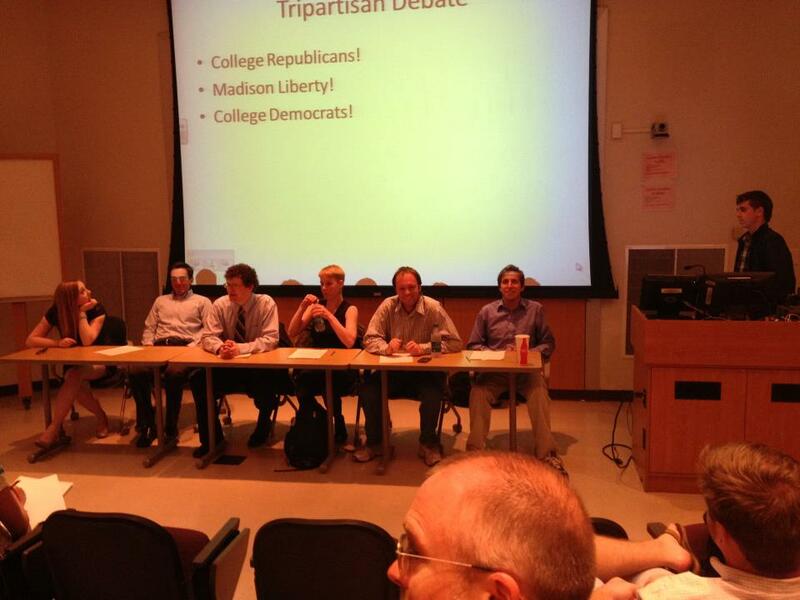 The groups involved were the College Democrats, the College Republicans, and Madison Liberty. For the format of the event, each organization submitted two questions regarding a specific political issue that all of the groups then answered. It was quite interesting to hear the differing positions of the students and their groups, to hear where they overlapped and where they disagreed. All three seemed to support policies that are more tolerant of drug legalization than the mainstream of either the Republican or Democratic Parties. Could this result simply stem from the college mentality of greater personal freedom? 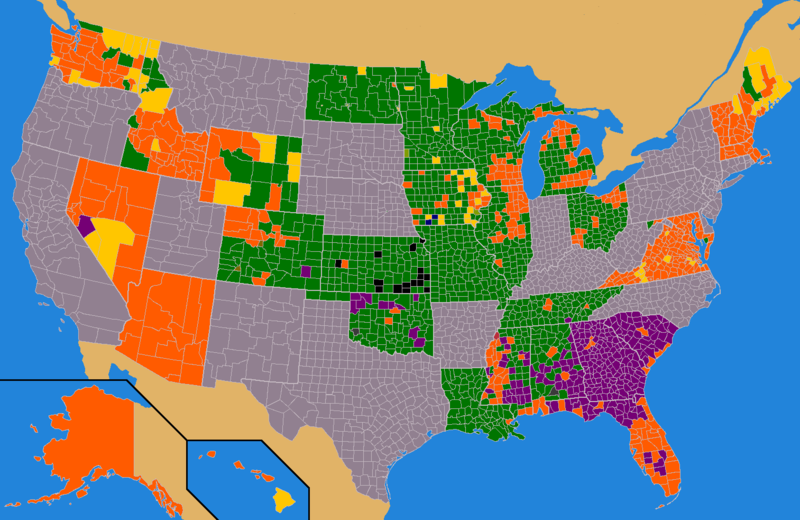 Or does this commonality represent the growing acceptance of more liberal drug laws and a future in which each state or locality can set their own policies? And when a Republican student from Washington D.C. asked if anyone thought that the American Civil War was not a “good war”, it was amusing to see a fair number of hands in the audience raised in opposition. However, what made the evening truly special, in my mind, was the fact that the three groups made a conscious effort to come together in a civil atmosphere to actually discuss political principles. Unfortunately, it seems as if the whole political sphere has become increasingly poisoned with divisive and unproductive rhetoric. The mentality of far too many individuals is, why waste your time debating issues with people of differing opinions? The 2012 Republican nomination for President, Senate, and House of Representatives shows a similar trend among members of the party. For example, twenty-year incumbent Bob Goodlatte has so far refused to directly engage Karen Kwiatkowski, his primary opponent. He practiced a similar move in 2010 when facing challengers outside of the GOP. Although there are certainly tactical arguments to be made why he shouldn’t debate, his more or less outright refusal to do so further erodes the chance for future political dialogue here in the Shenandoah Valley. Now it would be disingenuous to pretend Goodlatte is some sort of lone exception. After all, this act has been the trend of frontrunners and incumbents for many years, a tactic used to delegitimize their opposition. Nevertheless, regardless of the merits of the candidate who employs it, political debate ought to be encouraged rather than stifled. However, I’m a bit disappointed to confess that I haven’t always held such a viewpoint. As I recall, during my time with the College Republicans of William & Mary from 1998 to 2002, our group didn’t make many efforts to reach across the aisle to engage the Democrats or other opposed organizations in order to openly explain the difference in our two groups so that the student body could get a better understanding of the issues that separated us. Why would we? After all, weren’t they the hated enemy that we sought to defeat by any means necessary? And what about the libertarians? Those that came to our organization were typically viewed with suspicion and deemed too wacky to be taken seriously. I’m glad to see that the JMU organizations are choosing a more open-minded path. Getting back to the present, here in the Shenandoah Valley, there are currently at least five different kinds of political groups active: Democrats, Republicans, Libertarians, Constitutionalists, and the Tea Party. Is it possible for some or all of these groups learn from the JMU students and to come together and offer the community a similar forum? Or is such an idea nothing more than an idealistic dream? Given their efforts to improve political dialogue on Thursday, I applaud the efforts of the JMU students in Madison Liberty, the College Republicans, and the College Democrats. Although there is certainly a wide variety of political opinions, the attempt of these groups to not only reach out to the community for more recruits, but also foster a greater understanding and even tolerance for opposing viewpoints is a lesson that organizations outside the university and national political pundits would do well to learn. For those of you who did not attend, to follow is a brief excerpt of the gathering. I hope you find it informative. Well ladies and gentlemen, the time for the 2012 Tax Day Rally has come and gone. On April 14th, the Shenandoah Valley Tea Party held their annual event in downtown Harrisonburg, Virginia. The event boasted an impressive list of speakers including Virginia Attorney General Ken Cuccinelli. Even if you missed the gathering, you can still either read about it on examiner.com or watch a slideshow video on youtube. Enjoy and make certain to attend in 2013! Guest post by Daniel Wilson. United States gasoline prices are up over 13 percent since the start of the new year, standing at a national average of $3.92 a gallon. On a seasonal basis and in nominal terms, gas prices are the highest ever. High and escalating gas prices have become a major political issue with numerous politicians and pundits in the media quickly coming to false conclusions on the issue. One of the most common fallacies perpetrated by politicians on both sides of the aisle is that investors speculating in futures markets cause prices to rise and fluctuate dramatically. Typically so, politicians have it backwards, speculators actually play a vital and important role in the economy. Speculators make markets more liquid by adding additional buyers and sellers, thus aiding transactions and improving efficiency. Also, speculators actually make markets less volatile. In order for speculators to make money they have to buy low and sell high. Buying at a low price, increases the low price, and selling at a high price, lowers the high price, causing the market price to have a lower variance in the long run. In addition, a recent study by the Federal Reserve Bank of Dallas demonstrated that speculators didn’t contribute to the run up in oil or gas prices over the last decade. Another common myth about gas prices is that the big oil companies control and manipulate prices upwards in the name of greed and corporate profits. This myth runs wild within the Democratic party, many of them have recently scolded the oil companies for price-fixing gas and oil to profit at the expense of everybody else. Oil companies control gas prices like grocery stores control cereal prices. Measured by profit margins, oil companies rank 114 out of 225 different industries. Big oil companies, like Exxon Mobil only earn seven cents per gallon of gas. Compare that to the $.50 a gallon excise tax that’s embedded into the price of gas that local and federal governments collect. In other words, governments are collecting seven times more in taxes than oil companies make per gallon of gas. So, the next time you fill up at a gas station, ask yourself, who’s actually greedy, big oil or big government? One of the most conspicuous causes of higher oil and gas prices, that often goes ignored, is the depreciating value of the U.S. dollar on international exchange markets. People generally accept that individual prices go up or down based on changes in supply and demand. However, they fail to understand that the value of the dollar, in which goods are priced, is also determined by supply and demand. Therefore, when the Federal Reserve system prints excessive amounts of money for misguided political and economic reasons, the supply of US dollars increases, which then reduces the value of the dollar. Over the past 10 years the US dollar has lost 35 percent of its international exchange value. This means that commodities, such as oil, that are sold in international markets denominated in dollars, have to go up in price since the value of the dollar has fallen. To sum this up, when the value of the dollar falls from an increase in its supply, everything priced in dollars becomes more expensive, it’s called inflation. Measured in Swiss francs, a strong currency, the price of oil has risen to a less extent. For example, since 2010 the price of oil has risen by 15 percent in Swiss francs, but 30 percent in US dollars. Measured in terms of gold, which has historically been used as a monetary unit, oil prices are below their 40 year average. 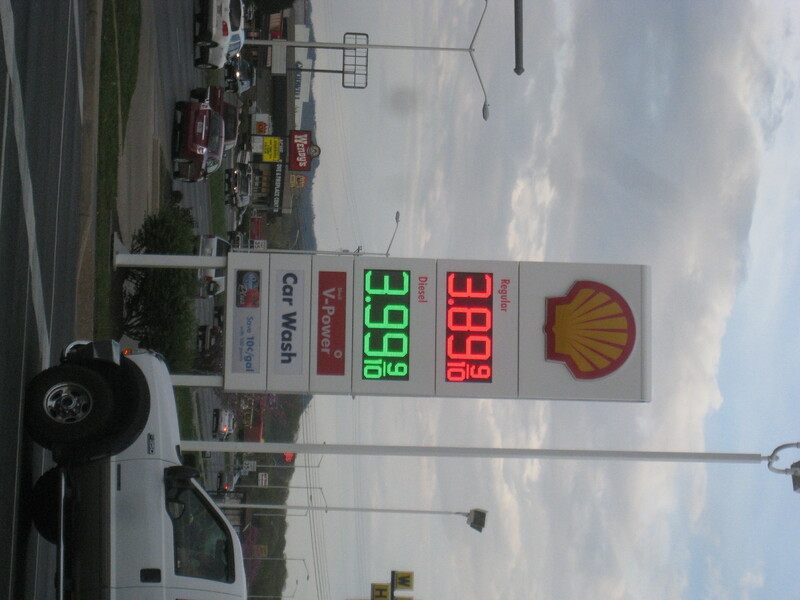 Both of these measurements indicate that a large portion of higher gas prices are due to a falling U.S. dollar. The Joint Economic Committee released a study showing that just a 10 to 15 percent appreciation in the dollar would lower gas prices by 43 cents. Politicians should stop wrongfully blaming big oil companies and speculators and worry about the real problem that threatens this country’s economic future and that’s the declining dollar. The resurgence of a strong greenback would lower gas and oil prices more than any other political solution. Daniel Wilson is a senior who is majoring in economics at James Madison University. On Friday, the Republican Party of Virginia announced that four of the five candidates seeking the Republican nomination for Virginia’s Senate seat had successfully submitted a sufficient number of signatures to appear on the June 12th primary ballot. These candidates are: George Allen, E.W. Jackson, Bob Marshall, and Jamie Radtke. Only David McCormick failed to submit any signatures and thus was denied a spot in this contest. Although many voters likely welcome the opportunity to select between four candidates, this particular situation heavily favors one candidate, George Allen. Unlike the others, George Allen has held a multitude of political offices including serving as both the Governor of Virginia and a Senator from 2001-2007. Therefore, due to his decades of political experience and campaigning, he has a much higher name identification rate and a massive campaign war chest when compared to any of the other candidates. It should be noted that some of George Allen’s positions as well as his votes while serving as a senator do worry some conservative activists. Although one can find a more extensive article on this subject here, George Allen voted to raise the debt ceiling many times, he voted to strip away our civil liberties via the Patriot Act, and he supported No Child Left Behind. In addition, his refusal to take a public stance on either NDAA or SOPA may lead some people to believe that he will continue to support big government policies if he is elected senator again. However, even though there are three alternatives to George Allen, it is highly unlikely that any of these challengers can mount a successful bit to deny the current frontrunner in this present situation. Collectively, Radtke, Marshall, and Jackson may very well end up with more votes that Mr. Allen in the primary, but as a winning candidate only needs a plurality of the votes and not a majority, it will be difficult for any of the three to do so. Jamie Radtke has a considerable following among the tea parties, Bob Marshall still has remnants of his loyal followers who nearly propelled him to victory in the 2008 Senate contest, and E.W. Jackson has done quite well among the social conservatives. Other conservatives will support George Allen due to the belief that he has the best chance of the four to win the seat. Thus, we find the conservative dilemma. Recognizing this situation, the ideal solution would be for two of the candidates to withdraw so that voters can decide if they would prefer George Allen or someone who bills him or herself to be a more conservative alternative. However, at this point, such a move seems unlikely. Jamie Radtke has been campaigning for well over a year, likely has the best defined campaign, and has spent more time, energy, and money than either Jackson or Marshall. Jackson continues to electrify audiences with his passionate speeches as has recently expanded his campaign staff. Marshall, even though he is the newest entrant into the race, still probably commands a higher ID than either of the other two combined. Thus, believing each is the strongest candidate to face Allen, none of them will withdraw and, chances are, the anti-Allen vote will be split in such a way as to be more or less irrelevant in the June 12th contest. Will conservatives band together, rejecting two of the others, and rally behind one of the non-Allen candidates? Conversely, do conservatives believe that George Allen shares enough of their principles to hold this office once again? And, once the primary is over, can any of the four candidates capture the hearts and minds of conservatives to cobble together a successful coalition of his or her rivals’ supporters and independent voters in order to beat the Democratic nominee former Governor Tim Kaine in November? What a dilemma!